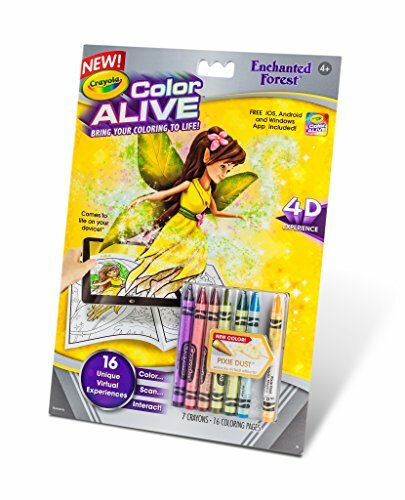 Home » Entertainment & Technology » Crayola Color Alive Review – How Art Comes to Life! 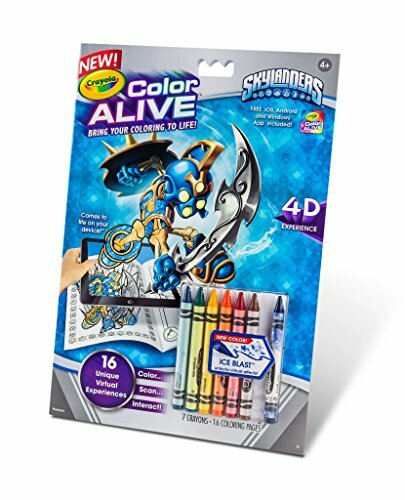 Crayola Color Alive Review – How Art Comes to Life! Want to give your kids a fun way to animate their artwork? Try our Crayola Color Alive! If there is one thing that can take me back to childhood, it’s a new coloring book with a box of new crayons. I remember have hundreds of Crayola crayons. I kept them all in a shoebox and loved them all. I would color and draw for hours. 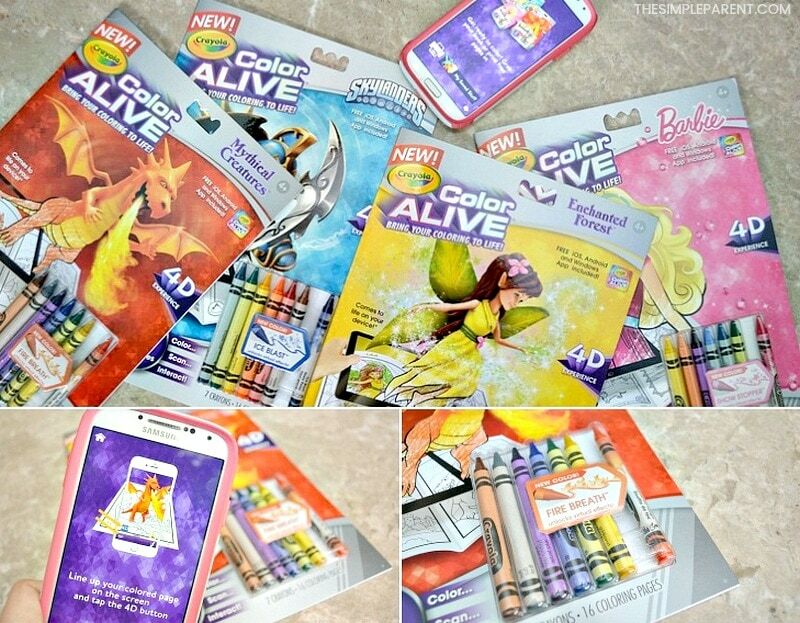 We partnered with Crayola for the opportunity to review the Crayola Color Alive app and coloring books! We were all pretty excited to check out how they worked! When I think of crayons, I think Crayola. From my own childhood into my classroom when I was teaching and now scattered all over my own home, there is just something about Crayola crayons. And as my kids have gotten older I’ve discovered the wide variety of amazing products Crayola has available. I’m pretty sure that Crayola Color Alive has jumped to the top of the list when it comes to my favorites though! How Does Color Alive Work? The whole set up is really pretty simple. The most work you have to do is downloading the app so you have it on your phone or tablet. You can download the Color Alive or Color Alive 2.0 apps for both Apple and Android, so everyone can get in on the fun! 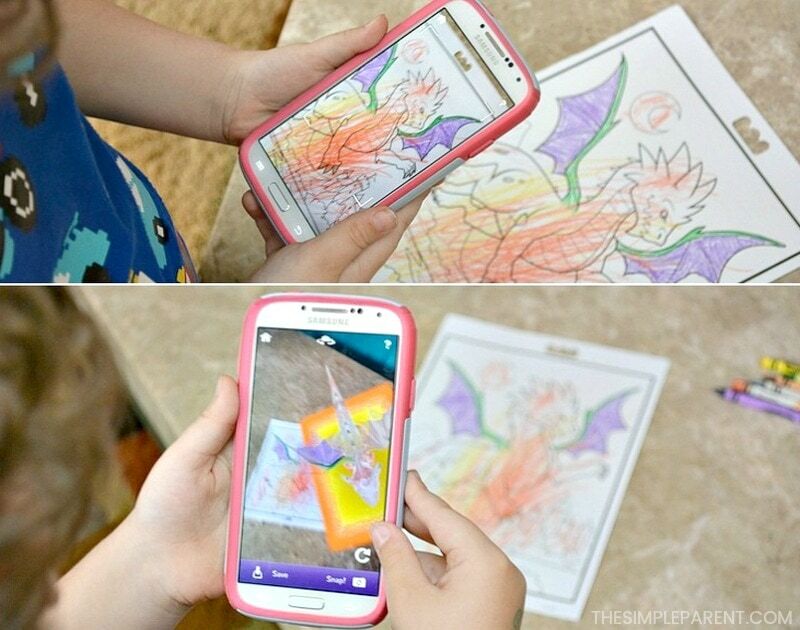 Kids use the free app and aim the camera at their finished coloring page to bring it to life! 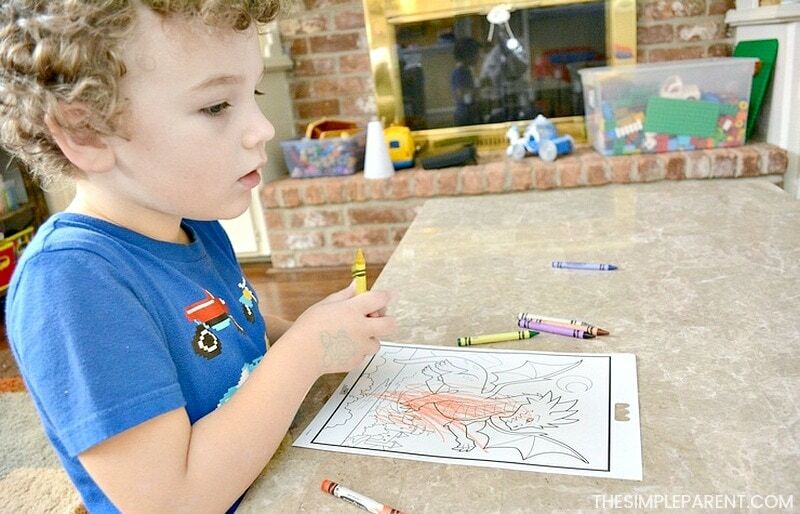 I tried to explain exactly how it all worked before we got started, but he really just wanted to color his dragon! He chose the fun Fire Breath crayon to get started! I’m pretty sure he would have been content with his coloring page from the Mythical Creatures book because he couldn’t stop talking about the dragon. Although he did make plans for what order we would color in the other books! Weston planned to try the Color Alive Skylanders book after the Mythical Creatures while Carrigan and I had fun with pages from the Color Alive Barbie book! There is a coloring page for everyone! Once we’d finished out coloring pages, I was excited to break out my phone and get the app started. I did wonder how well it would work with Weston’s coloring job. He’s very into technology, but when he was younger he colored just like a little kid! I had nothing to fear. I can always depend on Crayola to have my back when it comes to art and creativity! 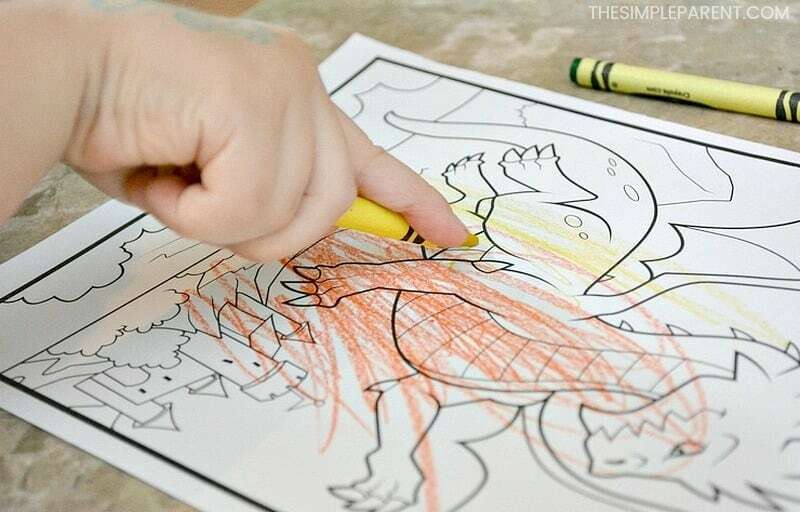 Within moments Weston had scanned his coloring page and his dragon came to life! Complete with the green and purple wings that I had “helped” with! Yes, I was in awe. I will admit it. Crayola Color Alive impressed my four-year-old but it also impressed me! It made me want to color another page! 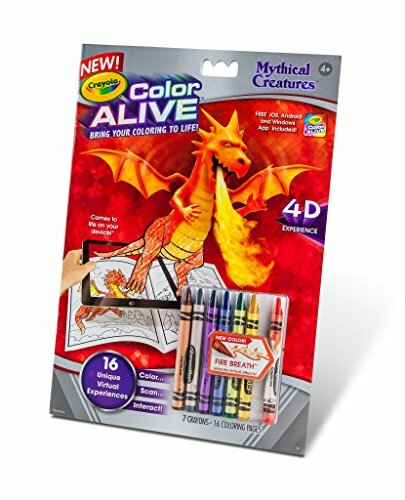 To add to the fun, we scanned our Magic Crayon with the Color Alive app to unlock a virtual coloring effect on the Crayola Color Alive Action Coloring Pages. Make sure to get out all of the Magic Crayons because once you unlock their special effects you can use any color on any coloring page! In this boy’s world that means, “Barbie’s dog is walking on fire!” Yes, we had to make the dog walk through the fire. But it was fun to see the effects on both of the different coloring pages! Get the free Crayola Color Alive app for your device. It’s available for iOS and Android. If you have Color Alive 2.0 you can get the app for Apple and Android as well. 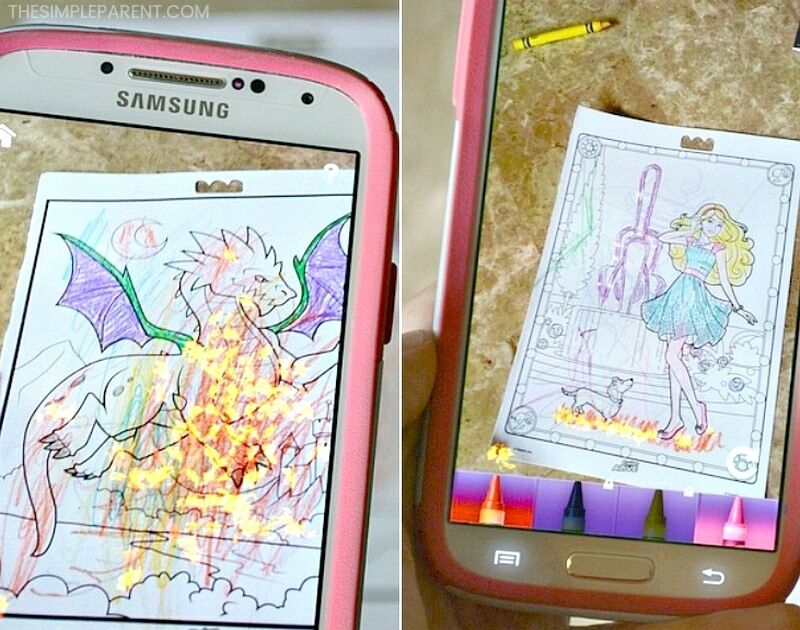 Scan the Magic Crayon with the app to unlock a virtual coloring effect. 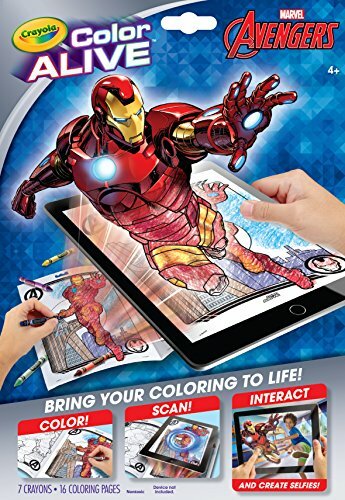 Then color a scene then scan it with the app to bring the character to life on your device! Interact with and take photos of virtual character off the page! You can also save the character in order to see, share and play later. You can reactivate them anywhere! The pages aren’t needed once you’ve saved your creation. Some people have reported having trouble with their app. We’ve never had any issues but Crayola does have some great suggestions if you run into issues. Make sure your device is on the list of supported devices. Be sure you have the latest version of the app on your device and update if needed! 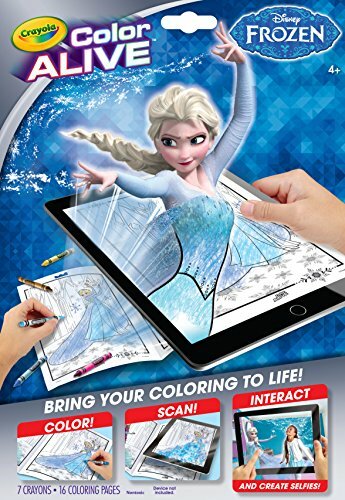 Your device must have a rear-facing camera in order to properly scan a coloring page. 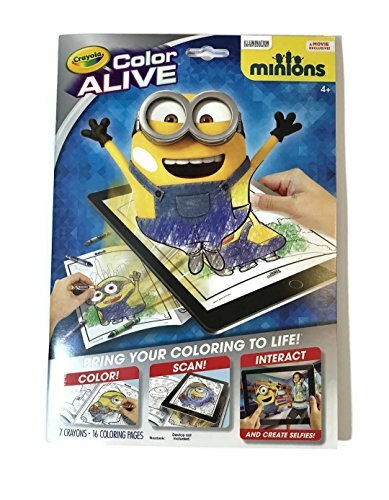 The app only works with Crayola Color Alive Action Coloring Pages so be sure that you have the correct pages. Check your internet connection. It’s required to use all of the app features. You can get more tips by visiting the FAQ page on the Crayola website. The coloring pages and app got a stamp of approval from our entire family. 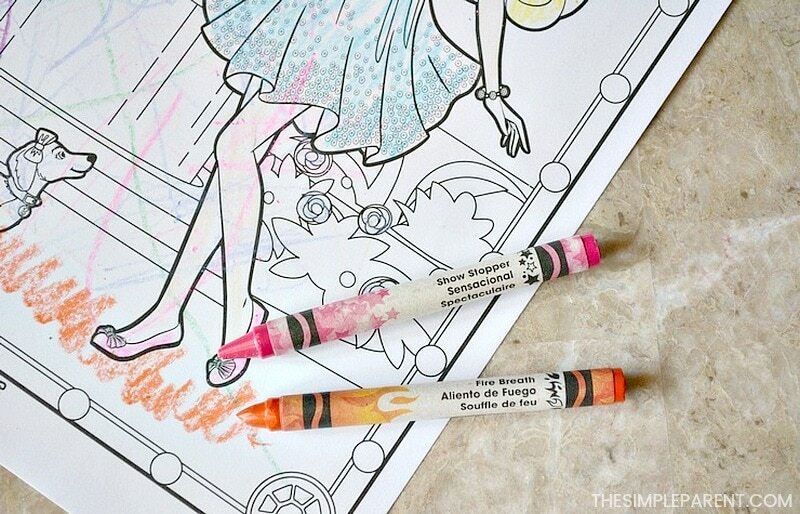 It’s a fun way to color together which is one of the easiest ways we spend our family time! Even with the Color Alive app, we end up with well-loved and broken Crayola crayons. If your crayon box is overflowing with pieces like our is, trying some of our favorite crayon crafts to make! « Make Graham Cracker Dippers for Easter! So Easy & Fun!